In the busy life of a college student, it can be hard to stay organized. Notes, papers and other class materials can get lost in the chaos of juggling responsibilities. Luckily for us, Microsoft has apps just for these purposes. While their regular applications like Word, PowerPoint and Excel have been on our computers for some time now, Microsoft now has a number of apps for your phone and tablet you can use for on-the-go studying. All you need for these app is a Microsoft account, which is free to UT students with a spartan email address. 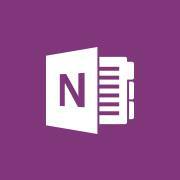 Microsoft’s OneNote app is especially helpful to students who do a lot of studying away from their desks. Students can use the app on any device with a internet or data connection.The app works like a regular hardback notebook, just a bit more organized and easier to carry around. Users can create notebooks, label them for school or just for personal use, then create several sections. Each section is color-coded and makes for an easy search through the notebook. And just like any other hardcover notebook, inside each section you can add pages upon pages of notes, and not just text. In OneNote, users can add photos, draw, and make a checklist on any page. So, if you’re more of a visual learner and prefer your notes drawn out, or need photos to help jog your memory on a topic, you can add those elements to any notes. Another great thing about the OneNote app is that you can access your notebooks just about anywhere you have data signal. If you have the app on your computer, you can sync your notebooks and access them at any time on your phone, or vice versa. You can also share notebooks with friends so they can study or collaborate with you. OneNote isn’t the only Microsoft application taking things on the road. Word, PowerPoint and Excel are now available on phones and tablets, giving users access to their files even when they’re nowhere near a computer. And this isn’t just for viewing purposes, users can edit their documents and slides from their devices as well. PowerPoint users can even present slideshows from their devices. These apps are especially helpful for when users need to edit something, but are only viewing it from a Dropbox folder or other document sharing application. Google also has their own version of these apps that are free and attached to a user’s Google Account. Their Google Drive app acts as a base of operations, holding all of the users documents and presentations, and allowing users to view them. But in order to edit anything users will need the separate apps for each type of document they’re using. For example, the Docs application can edit any word documents saved on Google Drive as well as view comments from other contributors. They’ll need a separate app for Sheets as well. While these apps are great for group projects, most professors have students turn in regular work using Microsoft documents, which makes the Microsoft apps much easier to use on a regular basis. All of these apps are free for any Apple or Android device.